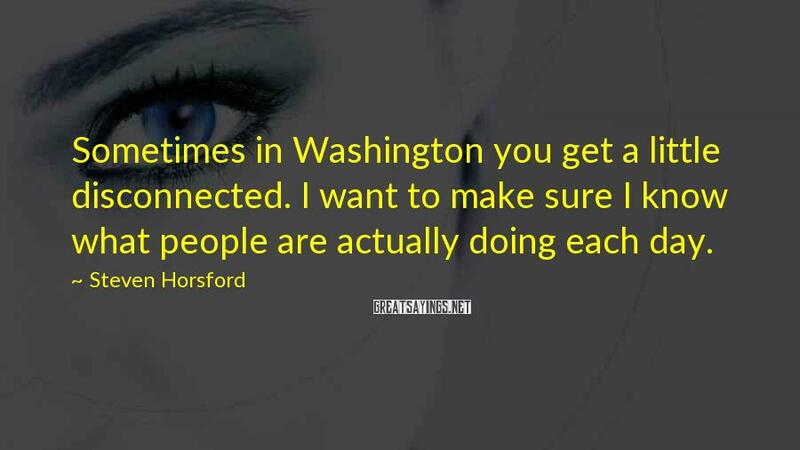 4 Steven Horsford Famous Sayings, Quotes and Quotation. As Dr. King said, an injustice anywhere is a threat to justice everywhere. It is that creed of the civil rights movement that still motivates us today ... 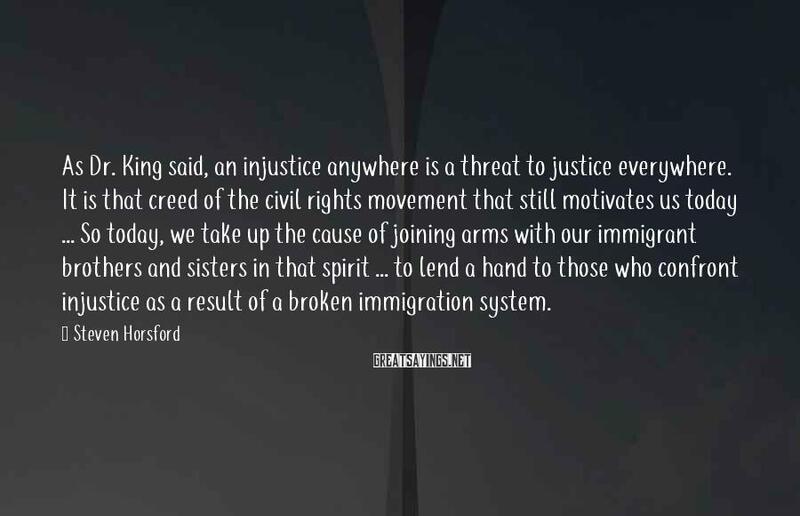 So today, we take up the cause of joining arms with our immigrant brothers and sisters in that spirit ... to lend a hand to those who confront injustice as a result of a broken immigration system. 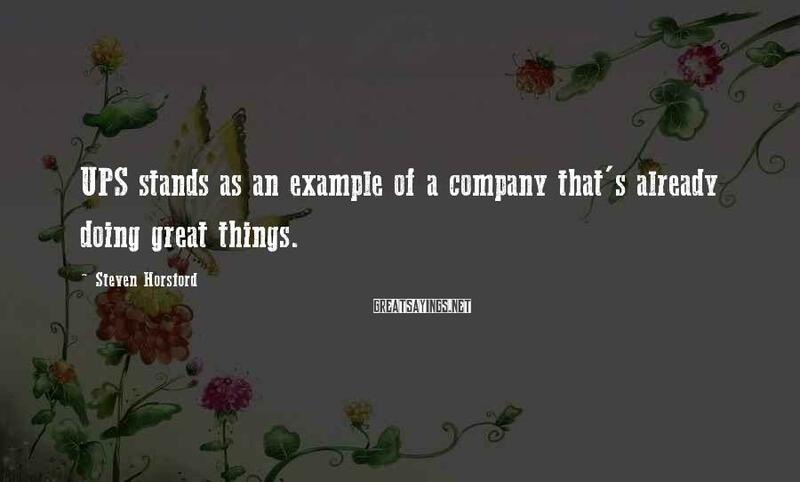 UPS stands as an example of a company that's already doing great things. 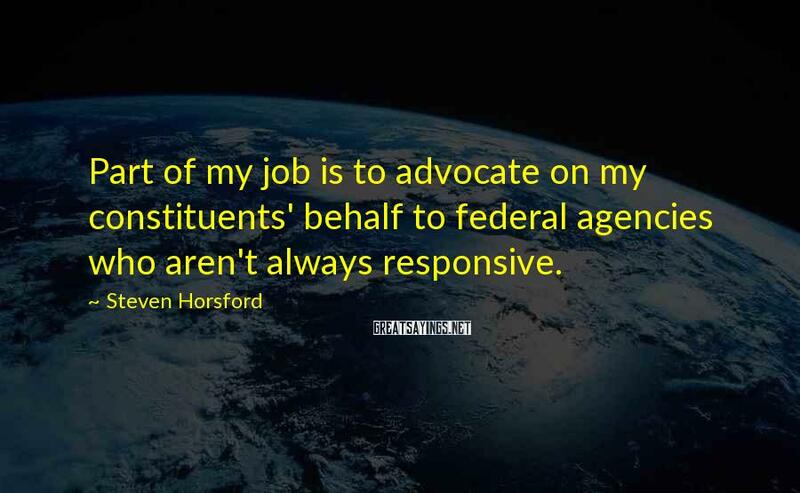 Part of my job is to advocate on my constituents' behalf to federal agencies who aren't always responsive.